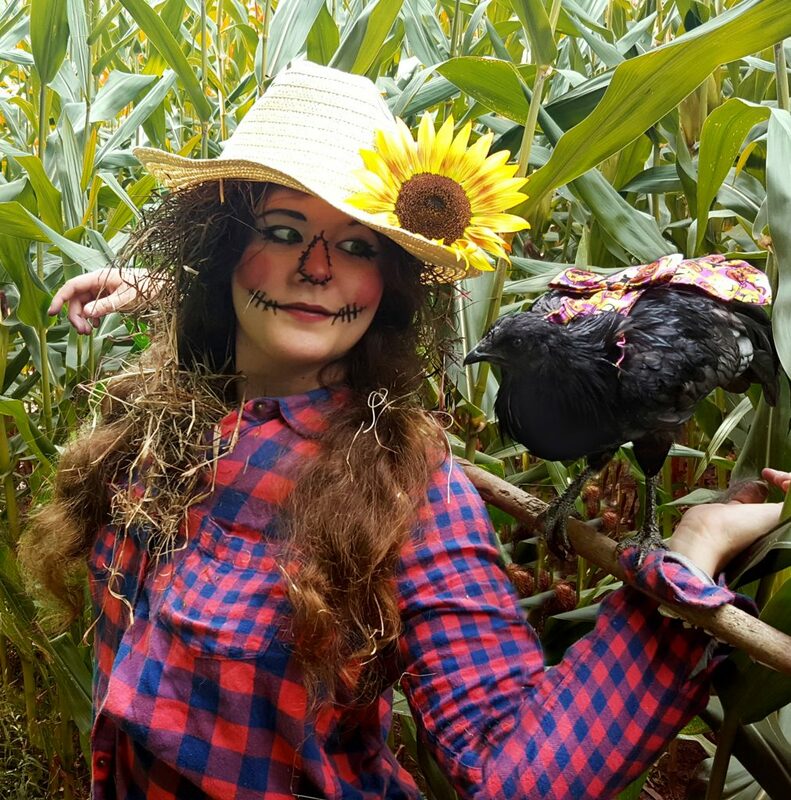 Meet the mum with a $50,000-a-year business making diapers, dresses, tutus and costumes for CHICKENS. 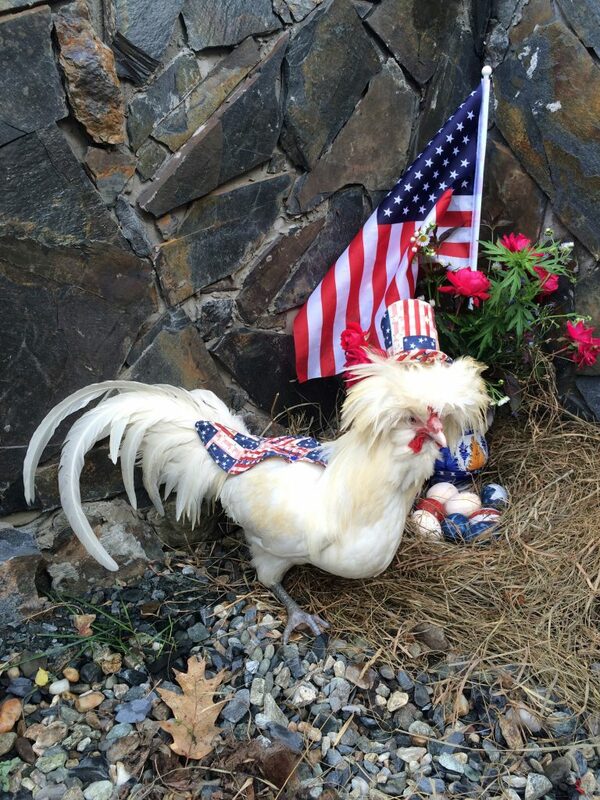 Julie Baker, 46, from Claremont in New Hampshire, USA, has been running Pampered Poultry for eight years dispatching up to 1,500 pieces of chicken couture every month. What started out as a school project with her daughter when the first chicken disappears were created has gradually evolved into dispatching pieces to the UK, Canada, Germany and Australia. 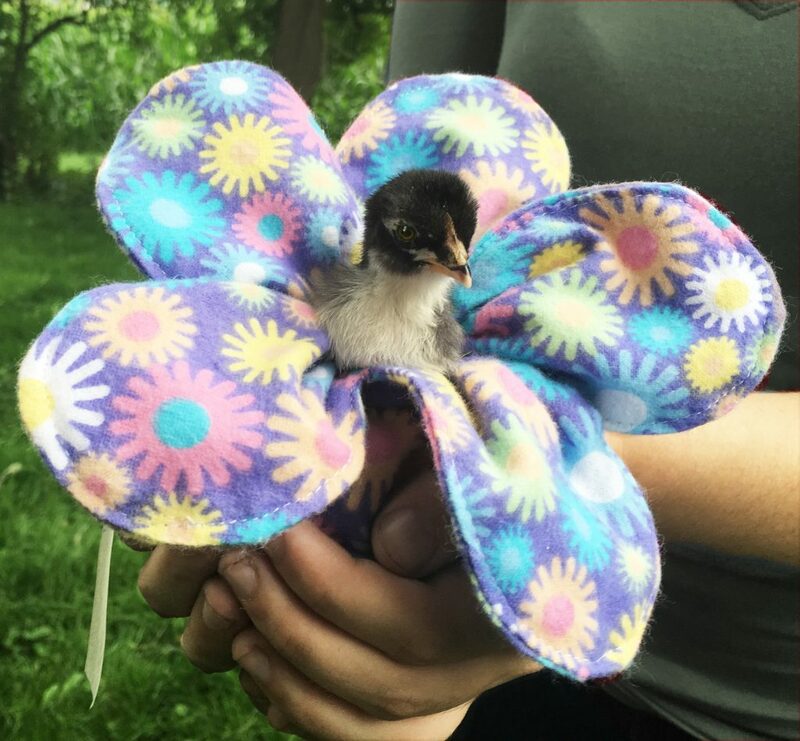 Alongside over 600 diapers, she’s developed dresses, tutus, saddles to protect hens during mating, and delicate flower designs to cushion chicks. She is working on bumblebee, appropriately named ‘jailbird’ costumes and Halloween themed pieces. The mum-of-two outsources the work to five female sewers in the Dominican Republic, who she is able to give a better life to through her employment. Despite family and friends thinking she’s ‘crazy’ for her quirky fulltime profession continues to grow and made a whopping $50,000 (GBP) last year. Julie, owner of Pampered Poultry, said: “It started as a home-school project with my daughter, people saw the diapers and thought they were adorable and asked if I could make them. 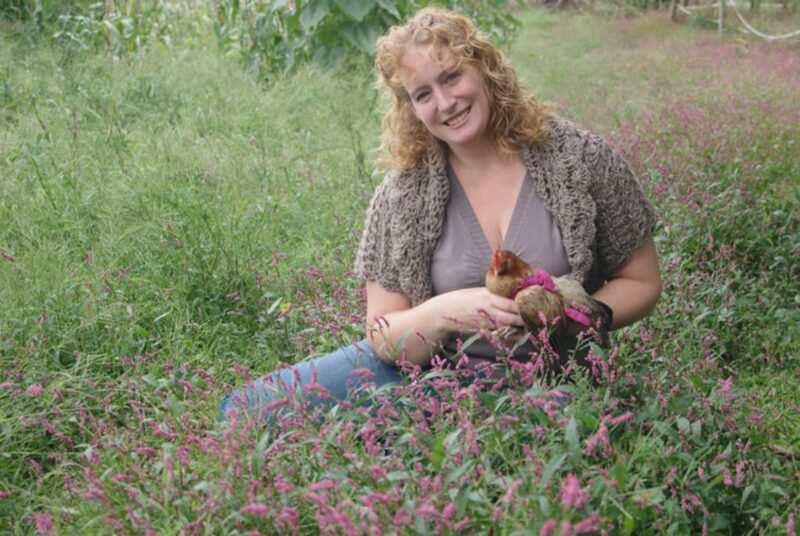 “We began really small and before I knew it I was sewing chicken diapers. “Within two years, the business took over my house, there were floor to ceiling containers of inventory barrels of fabric. 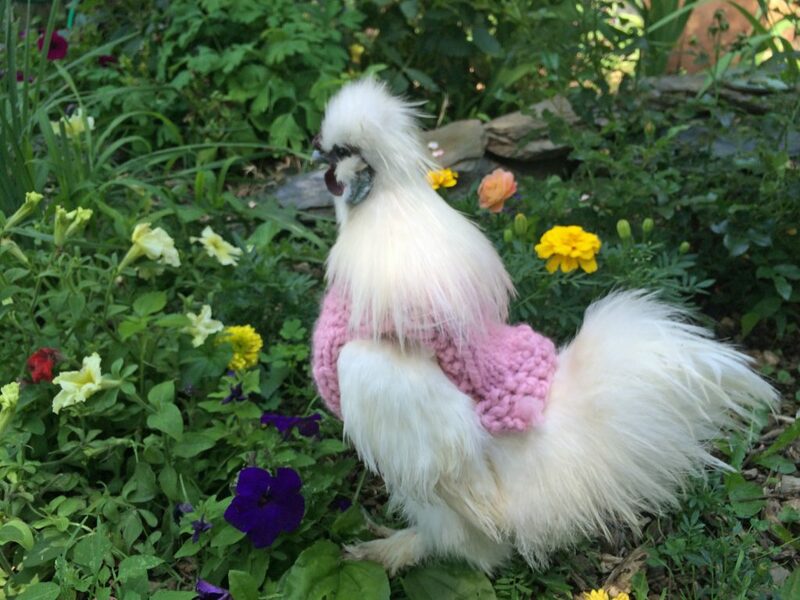 “We’ve branched way out to feather protectors, then laces, chicken dresses, which culminated in the chicken tutu, which is an incredible statement on fashion. “It was really well received, people love how cute the chicks look in them and with the material being very light it doesn’t impact them. “This fall we are also introducing Halloween costumes, after such a great reception with the Christmas themed diapers and dress sets. “We are working on an adorable bumblebee costume, which has a diaper and on top a bee with little super cute wings. “We’re also playing around with the jail bird, with black and white stripes, which will be very funny. “Cumulative I ship out about 600 diapers a month and the tutus, dresses and saddles all together are around 600, that goes way up at Christmas. “Most people stumble upon chicken diapers as they have a need, whether they fell in love with the chicken and its in the house all time or other reasons. “It’s a full-time position, in the past it was our main source of income while raising my kids and it provides an amazing life for five women sewing in the Dominican Republic. “Obviously I recognise people think it’s ridiculous, I don’t take myself too seriously and we joke about the need for chicken diapers being a first world problem. 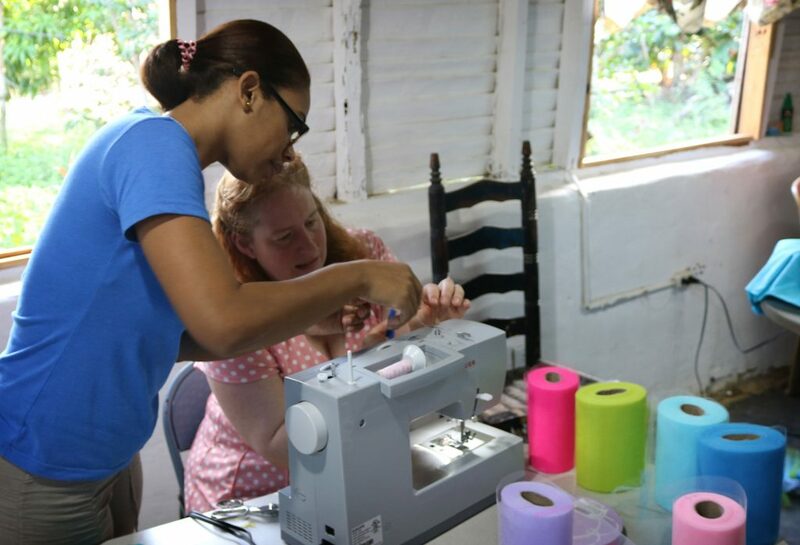 After volunteering outside a small village outside the Dominican Republic, Julie decided to teach some of the women to sew and make the diapers. Now she has a team of five, who have quickly adapted to her designs. Julie said: “My motivation changed from selling to keeping the women busy, they like having the job, I decided I would try to grow Pampered Poultry to keep the women sewing. The diapers which cost less than $18 (GBP) come in a range of designs from Christmas tree themed to pink polka dot and seasonal themed. In addition to feather guards that range from $9 – $50 ( – GBP)and quirky attire up to $30 (gbp). 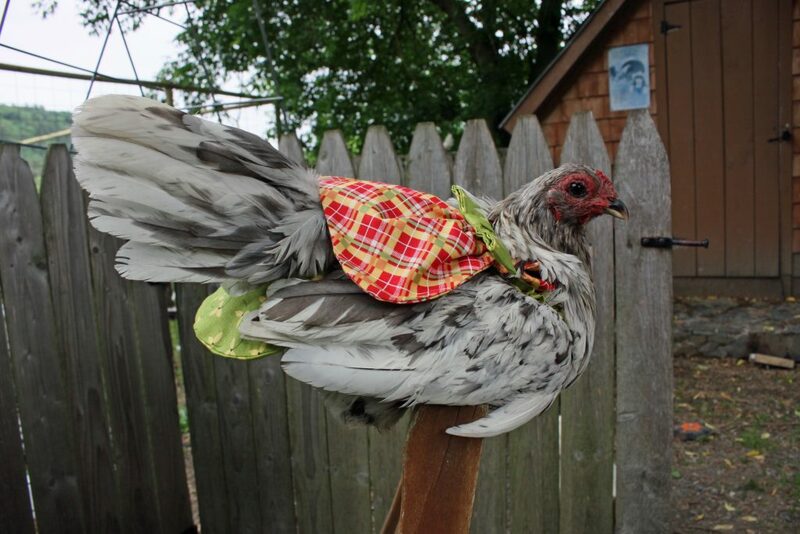 “When we first started it was just chicken diapers for practical reasons or to transport birds and chicken saddles to prevent the roosters from ripping out a hen’s feathers. “Right now, for the tutus there are two closes blue-green teal and pink really-girly ones, in the fall we will make orange, yellows and auburns. Lisa has recently rented out a workspace for her business, instead of working from home. Lisa believes the surge in interest stems from more people owning chickens and the want to make their pampered pets stand out online. She said: “People love to post about their chickens online and it’s definitely a way to make them stand out, putting them in something cute.